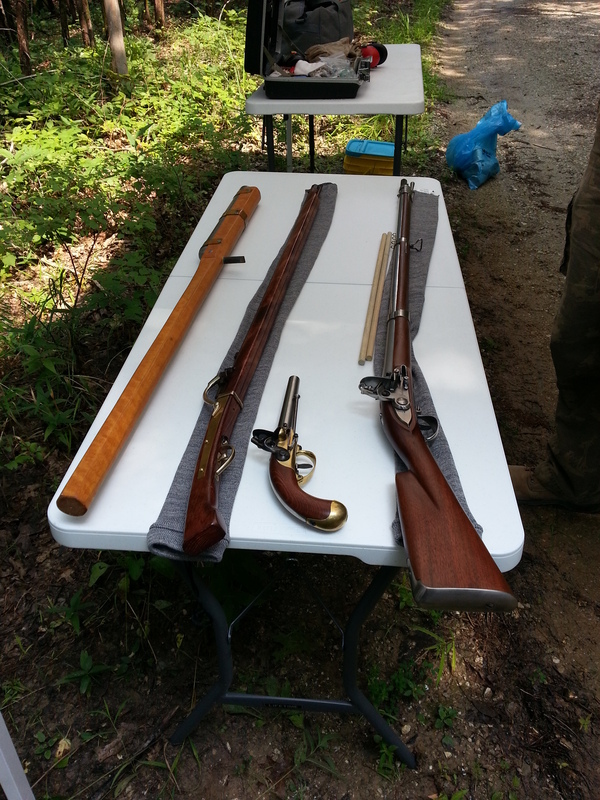 From left to right: 15th century Handgonne (.75 cal), 16th century Japanese-style matchlock (.50 cal … I think), then a matched pair of smoothbore flintlocks from about 1760 (.69 cal). 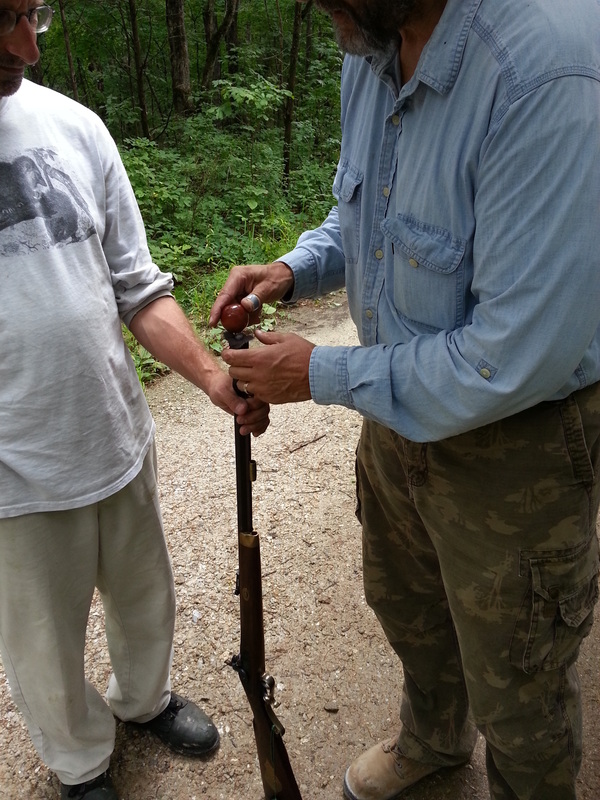 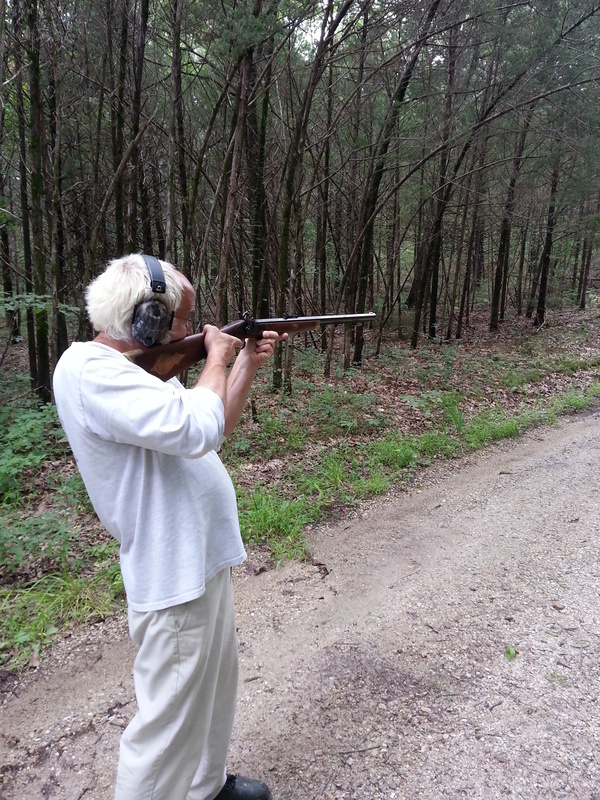 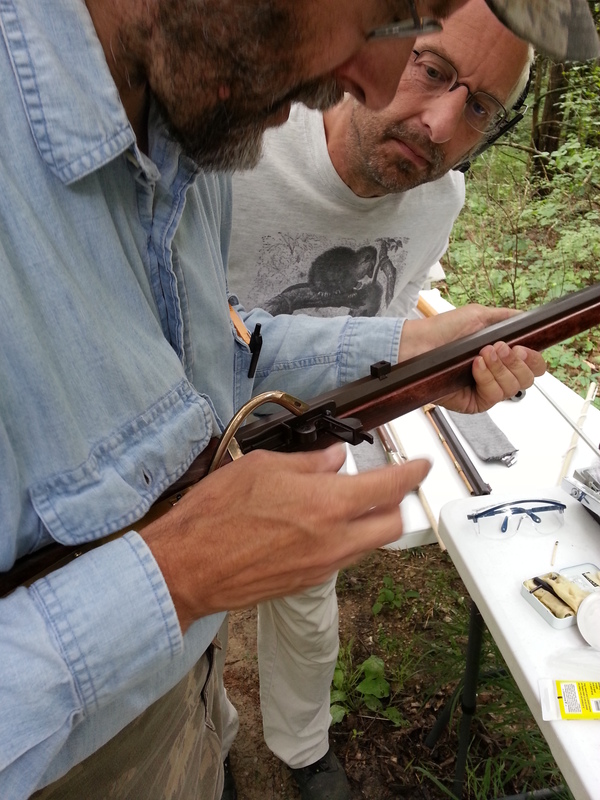 We also shot my 1815 Mortimer flintlock and a 1876 Hawken percussion cap rifle (.50 cal). 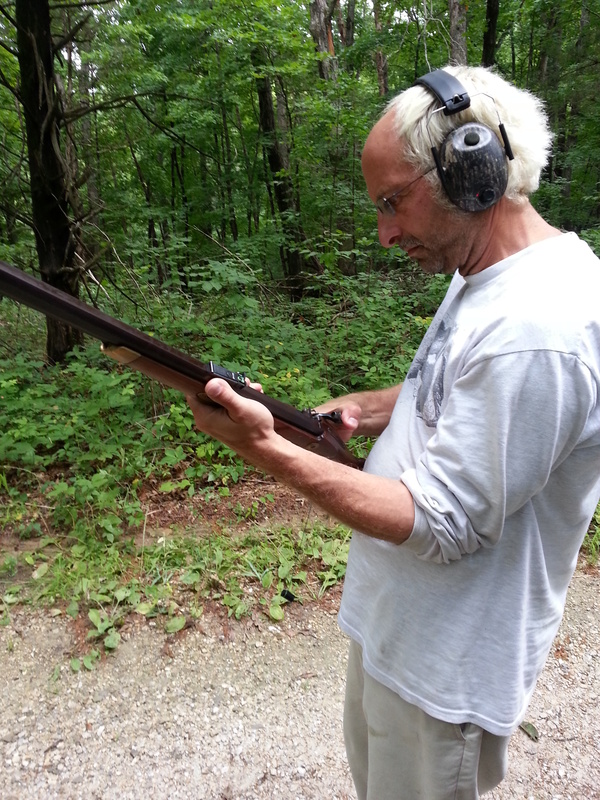 Some modern guns and short reviews of them to follow later this week.